The sad state of Australian politics was highlighted today when the replacement of Mr Malcolm Turnbull by Mr Scott Morrison as the new PM means no prime minister has survived a full term since Mr John Howard was in office a decade ago. The leadership vote was carried by 45 votes to 40. M Turnbull tried to delay the vote until he received a petition showing the names of the 43 people who wanted a spill but his rival, former Interior Minister Mr Peter Dutton, pushed the vote through. Related coverage: <a href="http://thegoldwater.com/news/34740-Australia-Dutton-Ready-To-Replace-Turnbull-As-10-Ministers-Offer-Resignation-Video"> Australia - Dutton Ready To Replace Turnbull As 10 Ministers Offer Resignation (Video)</a>. Mr Dutton however lost out on becoming Prime Minister himself to the Treasury Minister Mr Scott Morrison. Defence Industry Minister Christopher Pyne commented, saying Mr Turnbull had become "disappointed, philosophical and amazed that the party would think it was a good idea to replace the Prime Minister, who is running a good government, creating jobs, balancing the budget and no-one has yet given a reason." Mr Turnbull gave a farewell press conference, claiming he was "very optimistic and positive about our nation’s future". "I want to thank the Australian people for the support they’ve given me and my government over the last nearly three years." 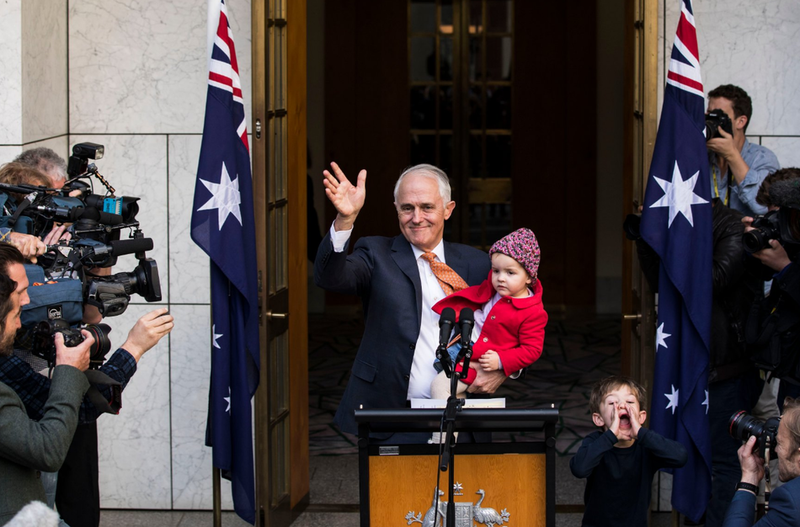 "We’ve been able to achieve as a progressive government, as a progressive Liberal coalition government, enormous reforms and very, very substantial achievements." Mr Turnbull will now be replaced by Mr Scott Morrison, an unknown to many Australians who has a history as a right-wing evangelical Immigration Minister who leans right. ANYTHING OPPOSITE OF LEFT IS A GOOD THING!